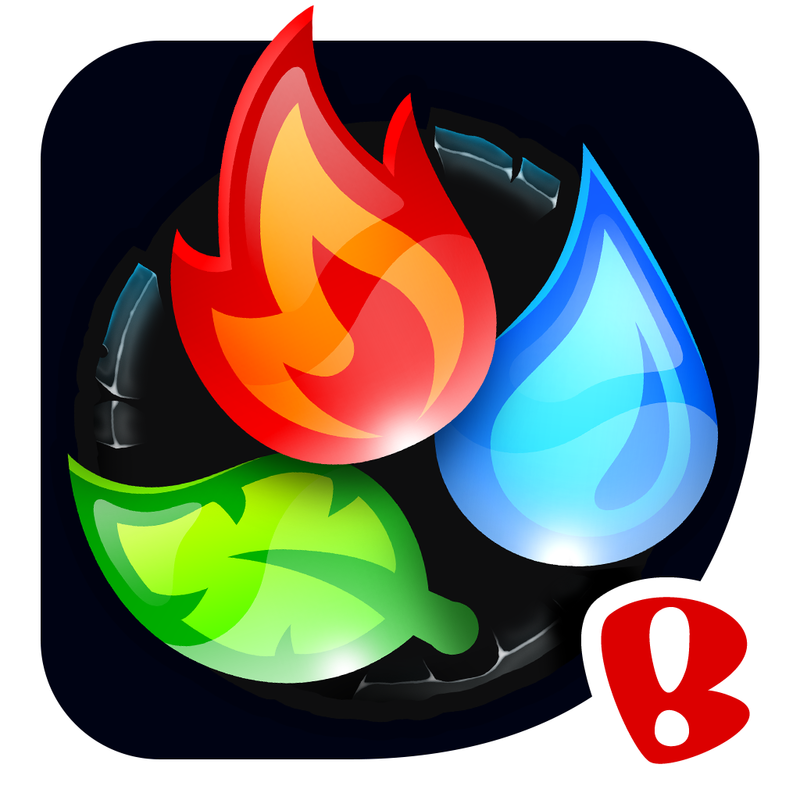 Spellfall™ - Puzzle RPG (Free) by Backflip Studios is a magical tile-matching puzzle game that will keep you entertained for hours on end. If you enjoyed games like Block Legend, Horde of Heroes, and even Doctor Who: Legacy, then Spellfall is another one that you will have to add to your growing collection. 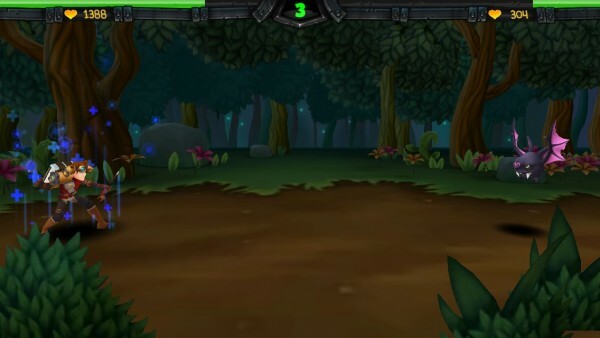 In my spare time, I can probably be found playing some kind of puzzle game on my iPhone, or even an RPG game of sorts. I grew up with these two types of games, so whenever I see a new title that merges my favorites together, I need it. 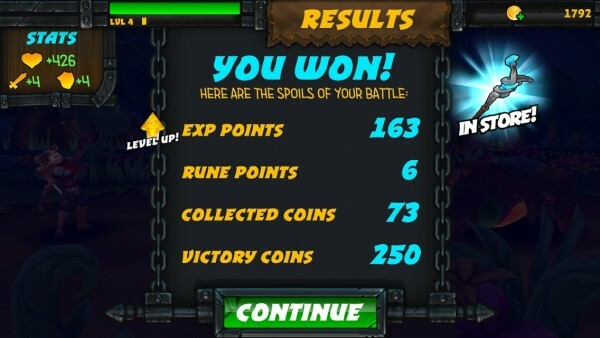 So of course, when I saw Spellfall in the App Store, I had to check it out. The visuals in the game are stunningly beautiful. The game’s backgrounds and environments are rendered in 3-D, as well as your character and the enemy monsters you’re facing off against. The game pieces on the board are shiny, alluring, and filled detailed with the depth of colors and shadows. 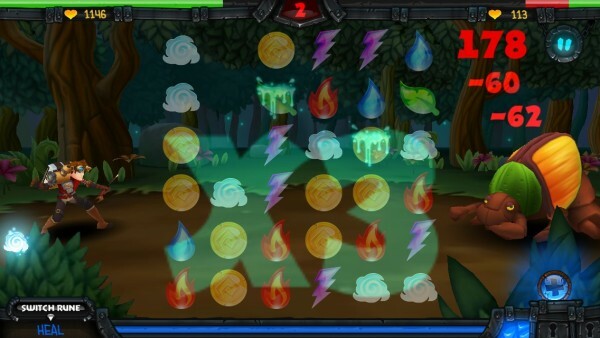 When you make consecutive matches, things become explosive on the game board, and the animation sequences for the bursts of color and attacks are smooth and fluid. 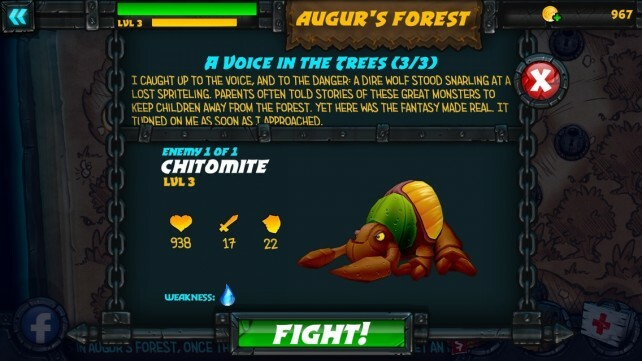 The adventurous music is sure to get you in the mood for some adventuring, and the sound effects are done nicely. 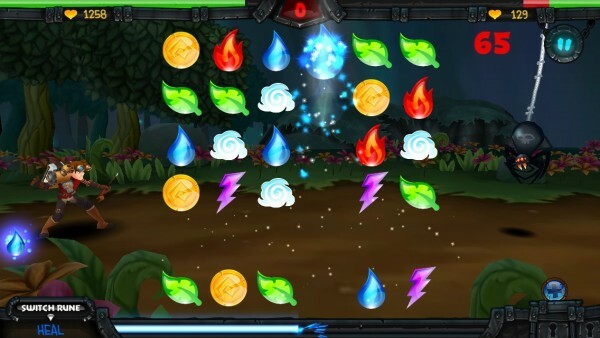 Spellfall is level based, and you go through these randomly generated stages (replaying a level will have different monsters) by traversing a map with different sectors. 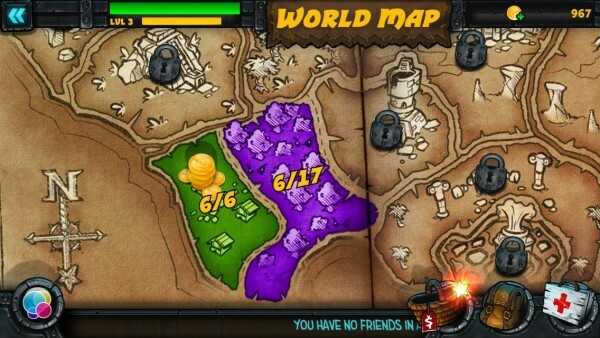 Each area is different, and will determine the kinds of monsters that you encounter. 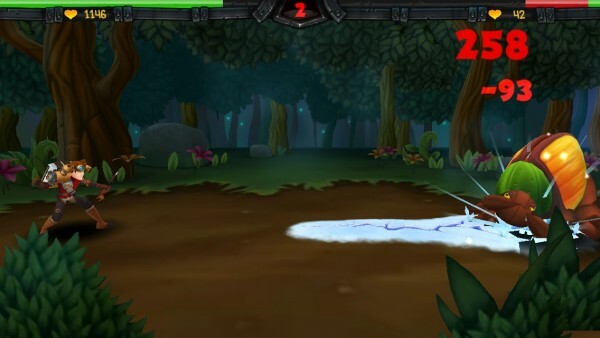 Before you start a level though, Spellfall will show you how many enemies you’re fighting, their stats, and even their weaknesses — make use of this information, because it’s super helpful. To open up the next level, you need to beat the previous one first. There’s a chance to buy some boosts to help you in the level before each game. The gameplay itself is simple enough, especially if you’ve played other games similar to this one. 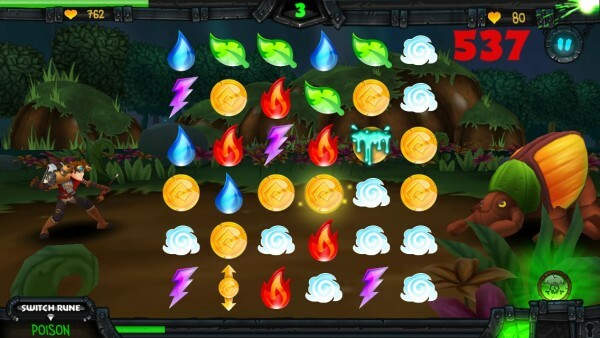 Instead of the traditional match-three style of swapping only adjacent tiles, Spellfall allows players to drag any tile to another location to make a match of at least three or more. The tiles represent the elements of cold, water, fire, poison, and energy. There are also coin tiles that you can match up to earn extra money to spend in the shop. 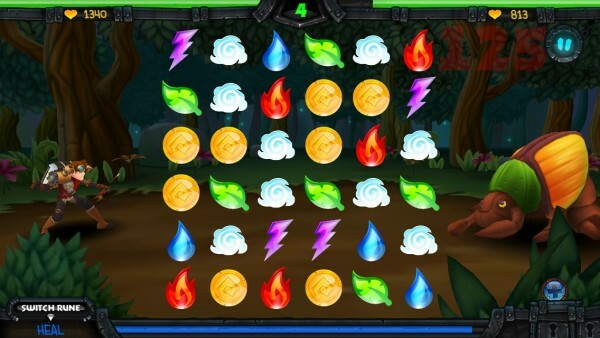 While the minimum requirement for a match is three, you do get bonus pieces if you make a match of four or more, or have a match in n “L” shape. A match of at least four grants you a “converter” piece of that element, where it will convert all tiles in that row or tile (depending on the orientation of the original match) to that single element. The “L” match also makes a converter piece, but this will change all pieces in a “+” shape. As you can imagine, these are vital, as they can do a lot of damage and also be the start of a big combo. After a great combo, you may end up with an enchanted element piece. These should be taken advantage of, because they give your character the chance to perform a powerful elemental spell attack. While other games of this calibur are turn-based, Spellfall does it a little differently. When it’s your turn, you have a limited amount of moves to make (around four), so you need to make the most of them. When you are out of moves, it is the enemies turn, and they will be able to land an attack on you, then it comes back to you with a reset counter. The goal is to get the enemy down to zero health, before they do the same to you. 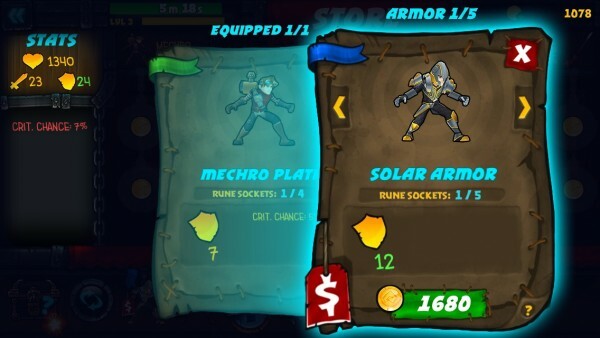 You also can equip runes in your armor and weapons, which can help you in battle. 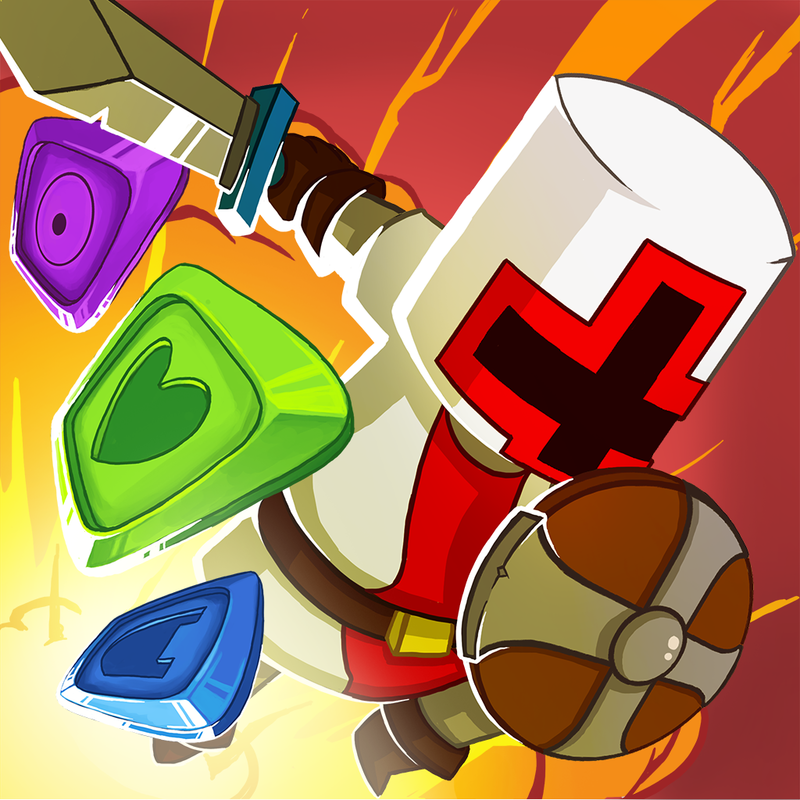 These runes provide you with useful offensive and defensive skills, such as poisoning foes and healing yourself, and many more. However, you need to fill the gauge up before you use them, and this is done by making matches of their specified element. 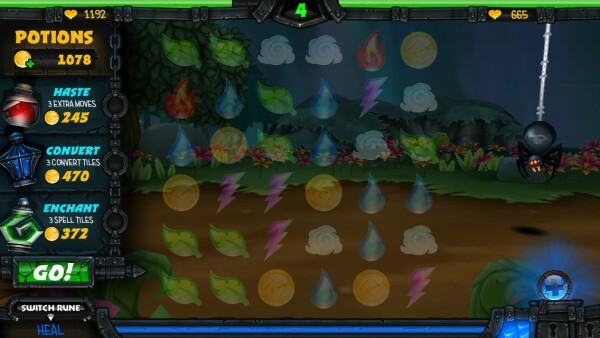 If you have multiple runes available, you can switch them at any time by tapping on the button in the bottom left. When it’s ready for use, just tap on the spell — this does not count against your move limit. 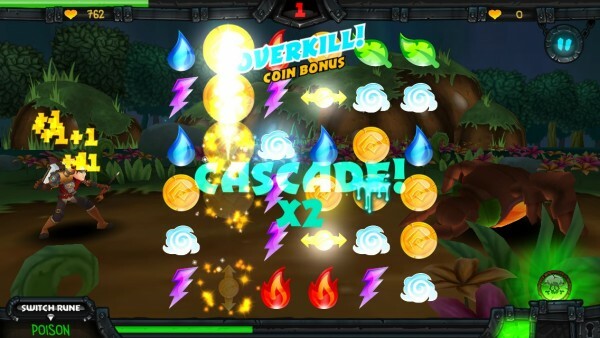 After successful levels, you will earn experience points and coins to spend in the shop. 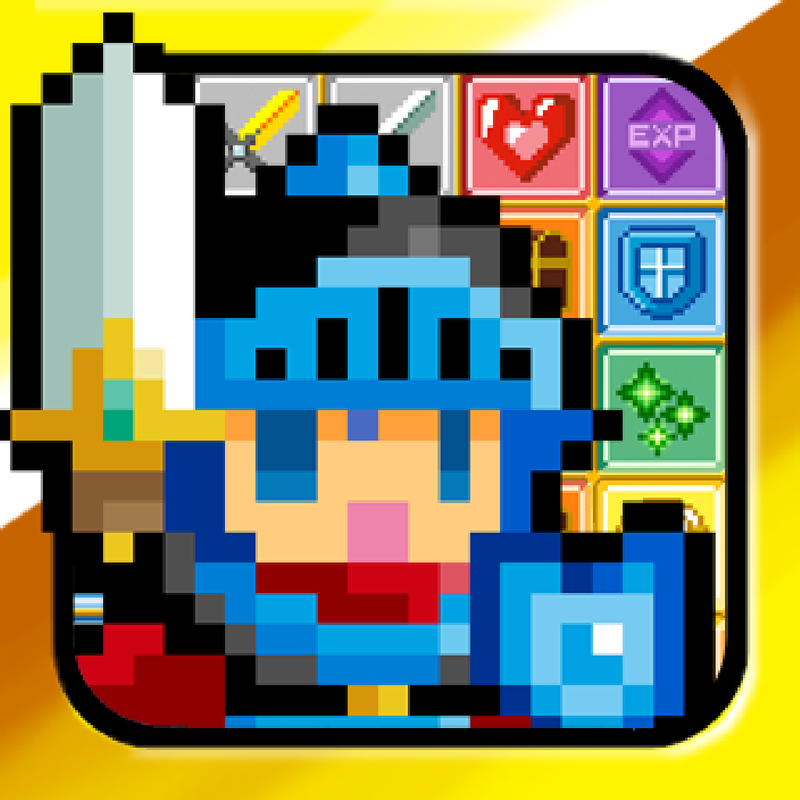 When you get enough experience points, you will level up, increasing your defenses, attack power, and life. 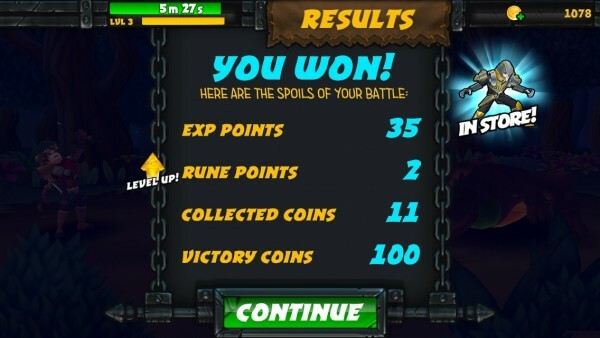 Runes also get experience points and level up to increase their power. A new item is available after each triumph, though items do have an expiration after a few levels, so be careful of letting that awesome armor, rune, or weapon go bye-bye. You can equip new gear at any time and sell your old stuff for more cash. However, be careful and pay attention to the special effects of armor and weapons. Some have bonuses, and the amount of rune slots available will differ. You can buy more rune slots for items, but it will cost you. If you’re running low on coins, then you can always buy more via in-app purchase. I found that the amount of coins you earn from battles can be pretty low, and by the time you save up enough for that item you want, it’s already gone. This system is kind of annoying to me, but I suppose you can just continue to hoard your coins until there’s something that is a worthy upgrade in the shop. 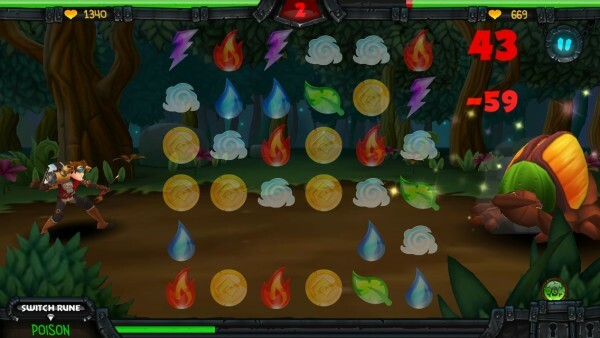 Spellfall is a free game, so it has a kind of “energy” system, but I didn’t find it as annoying as other games. That’s because the energy is your health, and it will regenerate over time. If you’re low, the game warns you and gives you the option for an instant refill of health for some coins, or you can go into battle and hope for a chance to heal with a rune, or just wait half an hour (or however much time you need to reach full health since it tells you). 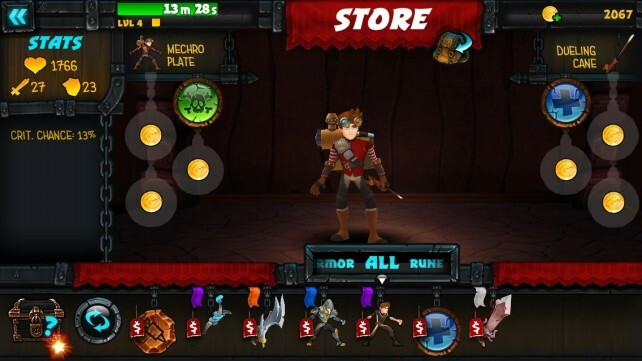 It’s a system that actually works, and is not annoying like many other freemium games and their energy system. 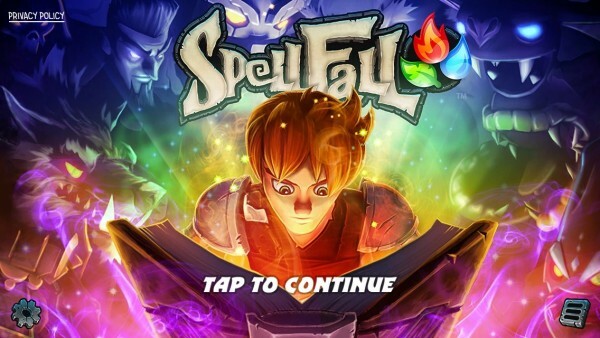 I’ve been playing Spellfall for hours since I downloaded it last night, and if you are a fan of tile-matching puzzle games and RPGs, then this is a must-have game to check out this weekend. 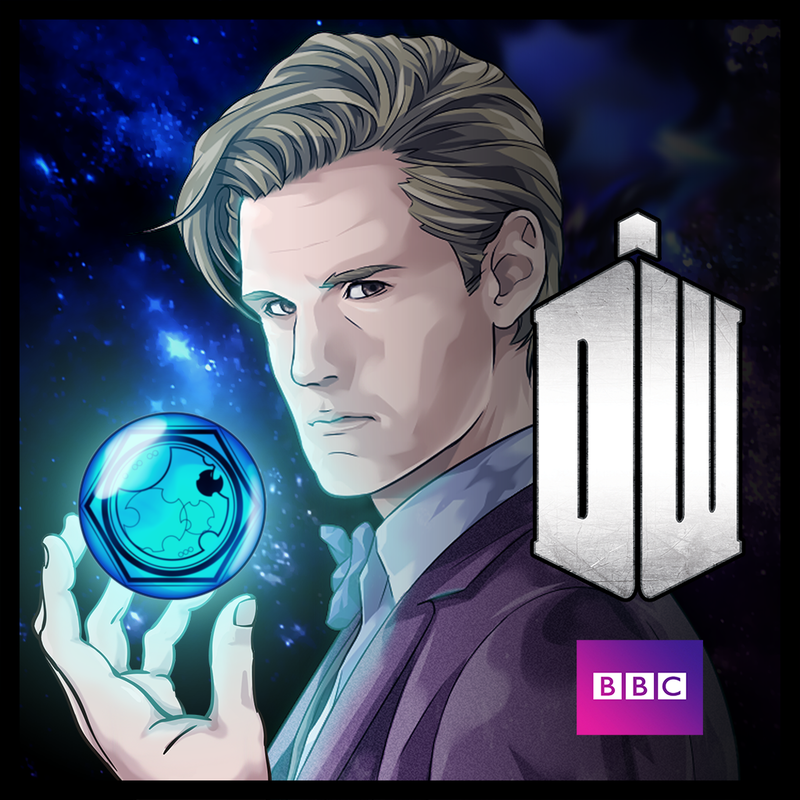 You can get it on the App Store as a universal download for free with in app-purchases.